Here in Victoria, nicely cultivated lawns and gardens are highly desirable, but they take work to maintain. Brentwood Grounds Maintenance maintains pristine, lush green lawns with a regular mowing and fertilization program, using organic fertilizers to ensure the right nutrients support a healthy green lawn. Along with providing quality mowing, we trim all lawn areas so they look neat and tidy. By redefining edges annually, we provide a clean separation between lawns and garden beds. 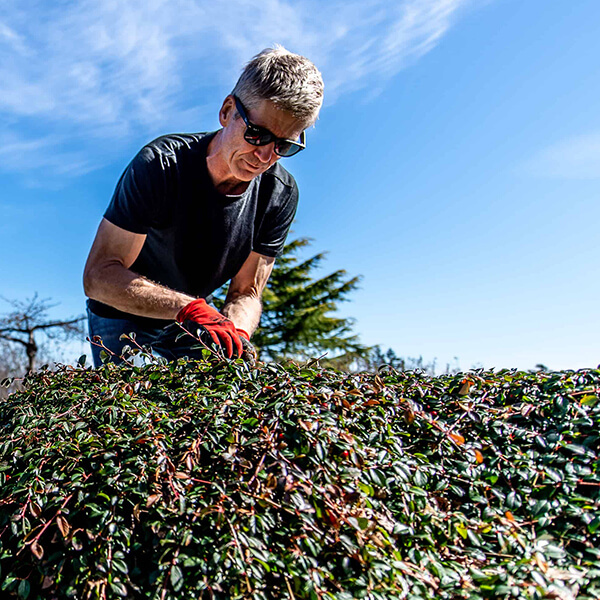 Vancouver Island provides optimal growing conditions for a variety of weeds, so we manage garden beds by applying fresh, organic mulch and by providing periodic cultivation and weeding. By keeping weeds at bay and the soil healthy, we encourage plants to reach their full growth potential and to flower liberally. We can work with your irrigation system providers to help ensure the lawn and garden receives the correct amount of watering based on any watering restrictions and their individual needs.